Buy Alibre Design - 3D CAD Software Australia - - Free Download! Alibre Design™ - robust easy-to-use parametric 3D CAD/CAM mechanical design software with optional CNC machining at a fraction of the cost for SolidWorks® or Inventor®. Alibre Design (formerly Geomagic Design) offers affordable mid-range parametric solids modeling, associative 2D drawing. 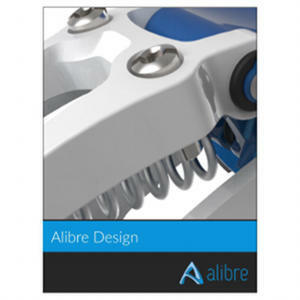 Alibre Design license includes free forum technical support, tutorial and demonstration files. After payment is completed your order is processed and license assigned during normal business hours. CNC Machinists may consider our Alibre CAM options below. PRICE INCLUDES GST. Note: for annual maintenance renewals or upgrading current Alibre or Geomagic Design click HERE. Why not start a free trial for Alibre Design today? Sign Up HERE. First Year annual upgrade and support subscription is now required for all new Alibre Design licenses (see below). Schools should also see our academic version. For further questions please contact us HERE. To back-order upgrades or maintenance for an existing Alibre license please click HERE. Select your license type and optional matching support package below (e.g. for Alibre Design EXPERT you will need EXPERT subscription). Click "Add to Cart" when you are ready to place your order.